Part of a series of articles giving a behind the scenes account of the biggest music and dance conservatoire in Europe. Focusing on the Trinity Laban Faculty of Dance, Nick Kyprianou discusses the activities at this world leading organisation, from an overview and history of the institution to the diverse participatory work of the Learning and Participation Department. Nick Kyprianou is currently the Graduate Intern in Learning and Participation (Dance), which you can find out more about here. Straddling Lewisham and Greenwich, amidst new tower blocks that seem to be popping up monthly, is a hub of dance excellence and creativity – the Laban Building, part of Trinity Laban Conservatoire of Music and Dance. The Laban Building is home to Trinity Laban’s Faculty of Dance, the UK’s number one dance school, offering contemporary dance training based on the work of dance pioneer Rudolf Laban. Born in Hungary in 1879, Laban moved to Munich and revolutionised Bewegungskunst (the movement arts) before fleeing to England in 1938 during the rise of Nazism. Emphasising his belief that dance should be for everyone, Laban became the first person to develop community dance and set out to reform the role of dance education. Laban started the first of many trends in British dance education, such as establishing choreology, the discipline of dance analysis, and inventing a system of dance notation, now known as Labanotation or Kinetography Laban, both of which can be studied as part of a BA (Hons) Contemporary Dance or a Specialist Diploma in Choreological Studies at Trinity Laban. Trinity Laban’s Faculty of Dance began as The Art of Movement Studio in Manchester in 1948, before expanding and moving to Surrey in 1953. The Art of Movement Studio was renamed the Laban Centre for Movement and Dance in 1975, and relocated to New Cross, South East London. In 1976, the Laban Centre became the first UK institution to offer an undergraduate degree. Postgraduate dance programmes were introduced in 1980. Based in Deptford since 2002, the RIBA Stirling award winning Laban Building is home to 13 purpose built studios and a 300 seat theatre, which attracts many reputable choreographers and companies including Ballet Boyz, Akram Khan and Wendy Houstoun. You can find the Laban Theatre Spring 2015 Programme here. 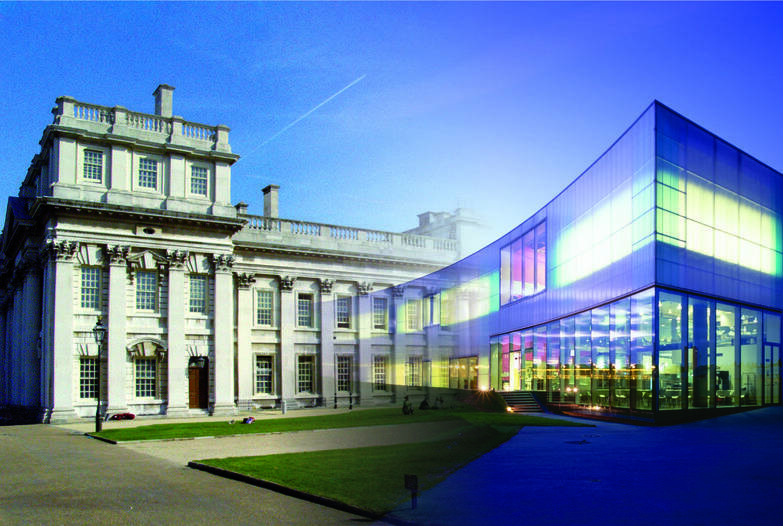 In 2005, the Laban Centre merged with the nearby Trinity College of Music and the two institutions have gone on to create the UK’s only conservatoire of music and dance. Based in the Old Royal Naval College in Greenwich, the Faculty of Music is home to over 600 students and world renowned teaching staff. Director of the Faculty of Dance, Mirella Bartrip says: “Our forward focused and innovative approaches mean that both dancers and musicians will experience a unique and rich cultural environment at Trinity Laban. Trinity Laban is at the forefront of educating innovative, entrepreneurial and cutting edge artists. Both faculties have wide ranging community participation programmes involving students of all ages, from gifted and talented children at Junior Trinity, to Retired Not Tired dance classes for the over 60s. Trinity Laban has been running its wide reaching community participation work for over ten years and is named as an example of best practice by OFFA, the government’s watchdog for ensuring fair access for all to higher education. Their wider participation work actively involves thousands of children, young people and adults across London, particularly in Lewisham and Greenwich. Two major collaborative projects, CoLab and Live at Trinity Laban, demonstrate the magic of bringing together talented artists of music and dance. Trinity Laban runs high quality undergraduate and postgraduate degree programmes in music, dance and musical theatre, training artists with the constantly changing arts sector in mind. Trinity Laban graduates go on to lead successful careers across a wide range of activities. Almost 99% of Trinity Laban first degree leavers in 2012 were in employment or further study six months after graduation – ranking the institution second out of 151 Higher Education institutions in the UK. You can stay up-to-date via Trinity Laban’s twitter and Facebook page. Next month Nick will be giving an overview of the Learning and Participation (Dance) department and some of the opportunities that you could be involved in.